Submit a form with a list of the classes you are taking in the upcoming semester. Note: When estimating the cost for each course, include both the cost of the course and the cost of the textbook. This request will be forwarded to your supervisor or manager. 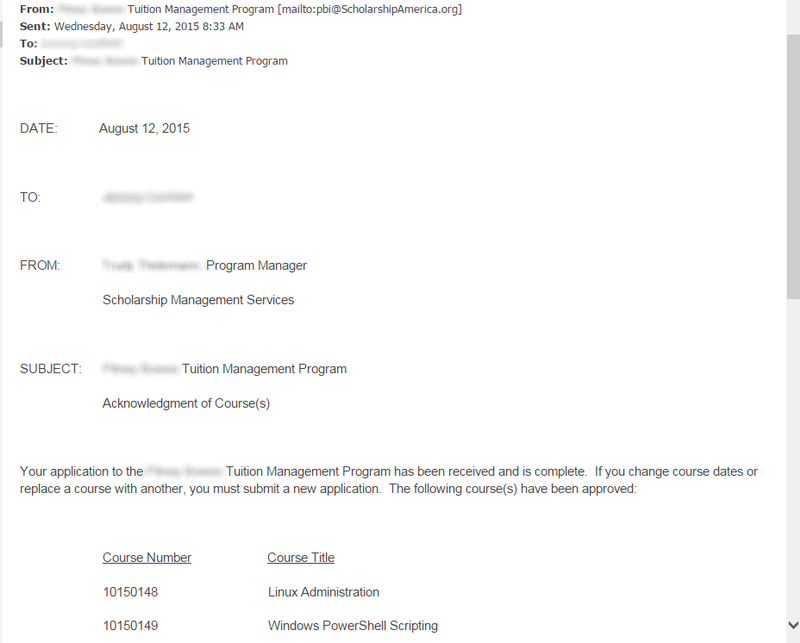 If your supervisor or manager approves the request for tuition reimbursement, you should get an email stating that the request has been approved. 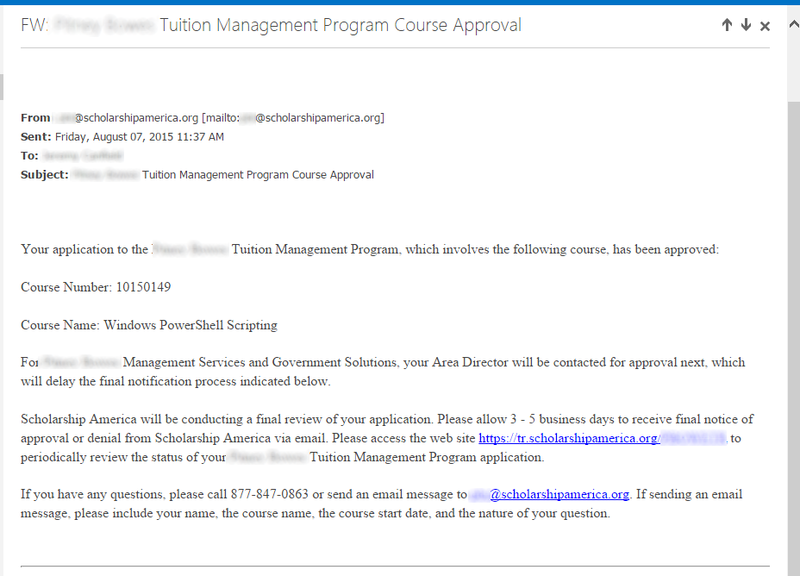 There should be another stating that your application for tuition reimbursement has been received and is completed. Submit your paperwork for request tuition reimbursment. Print and complete the form. Along with this form, the following documents are needed. These will probably be scanned into my computer. Mail the form to the address listed on the form. 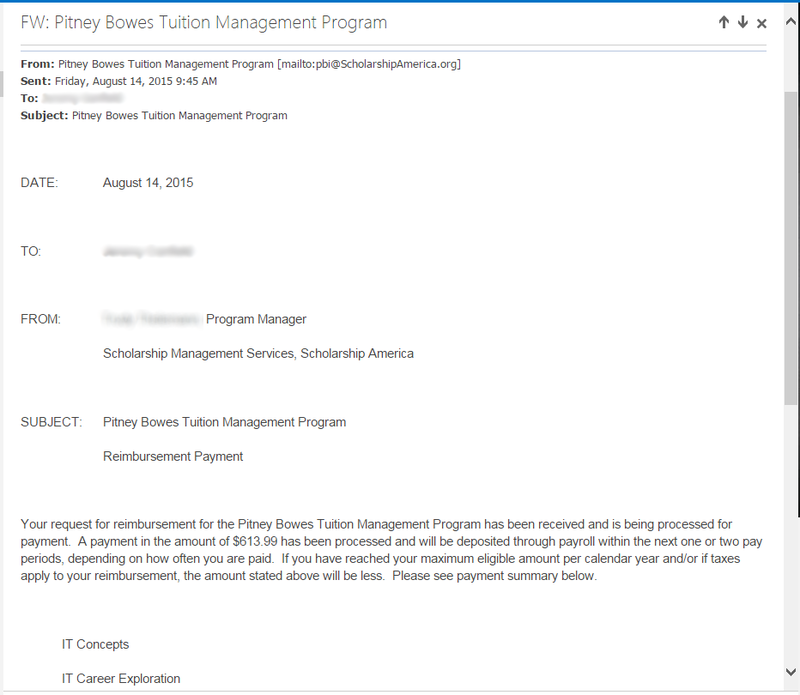 About 2 weeks after mailing the form, you should get an email from pbi@scholarshipamerica.org confirming the reimbursement.